You know what we need? An art museum specifically dedicated to all the morbid and macabre works that have been created by famous painters and sculptors over the years. When I was abroad in Spain, not only did I visit many an art museum, but I also took a Spanish art class. One thing that both of these taught me was that art and death go together like peanut butter and jelly. Here are some paintings that might well give you nightmares if you stare at them too long. 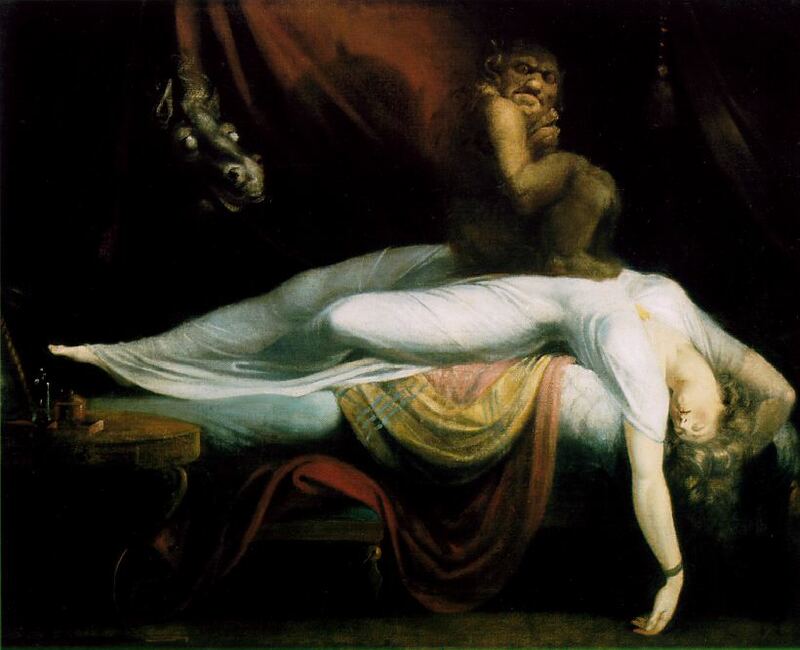 Speaking of nightmares, this might have been inspired by Fuseli’s waking dreams, which related to German folklore about demons possessing people who slept alone. Also, there’s a freaking gargoyle sitting on her stomach. Goya went through a really strange time in his life when he started painting freakish stuff all over the walls of his house, called the Black Paintings. I think you can see why they’re called that. 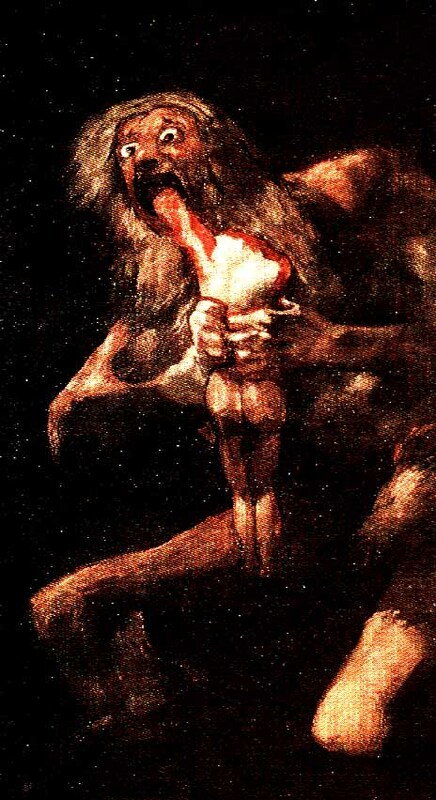 This one shows the Roman god Saturn eating his kids out of fear that they’ll overthrow him. Imagine enjoying a nice meal in your dining room and looking up to see that staring back at you. Good way to kill your guests’ appetite. This is a large tryptich showing the Garden of Eden and Hell. 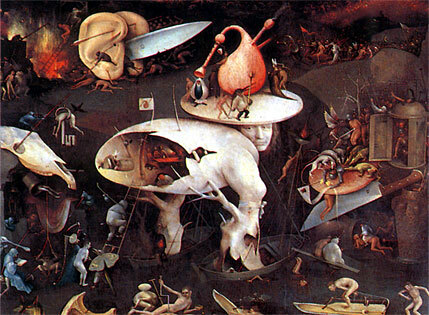 This portion gives you an idea of how Bosch envisioned the horrors of Hell. Apparently, it involves people being eaten whole by alien-like creatures, giant ears wielding knives, and some other stuff which I can’t even begin to interpret. 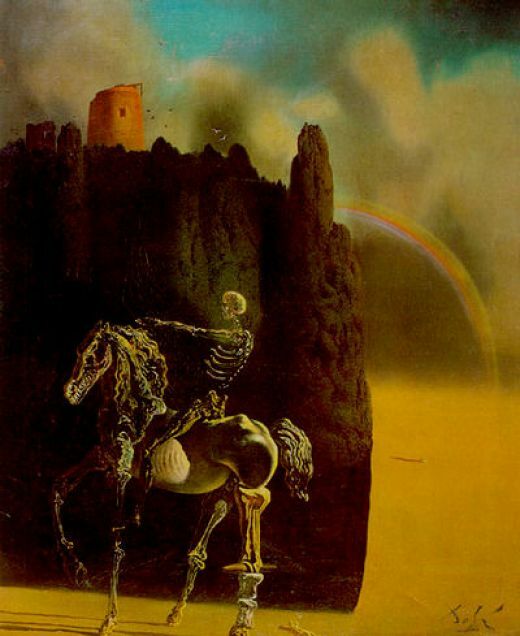 One of the Four Horsemen of the Apocalypse is Death himself, a skeleton on his equally skeletal horse. This painting is interesting because of the juxtaposition between Death and the rainbow in the background. That’s just Dalí being all ethereal and surreal on us. Most of his works are strange and maybe even a little unnerving, but not truly horrific. Still, they’re totally worth checking out. 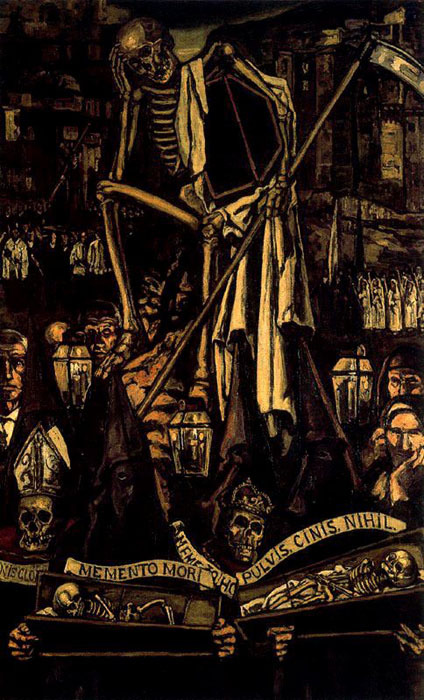 Here we have the grim reaper with his scythe, looking a little worn out as he stands on his podium of skulls and lanterns and whatnot. This idea is also called Santa Compaña in Spain, which signifies the procession of tormented souls at midnight, led by some poor sucker who has to carry around a cross and a cauldron of holy water until they can find someone to take their place. Even in the recession, no one’s applying for that job. very interesting. I love your insights into these paintings.